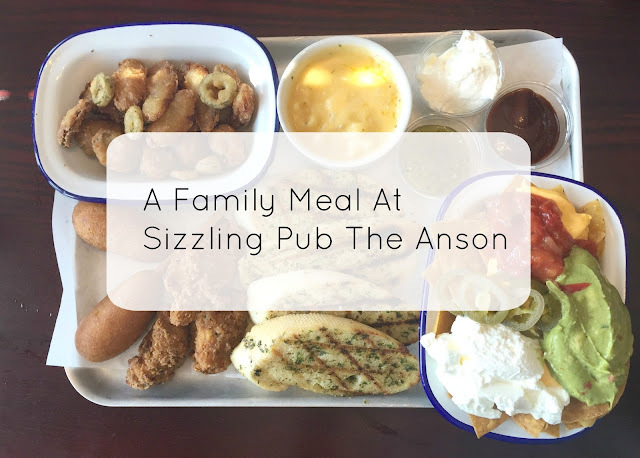 We were recently invited to The Anson a Sizzling Pub in Wallsend - North Tyneside, to enjoy a family meal during the summer holidays. We are big fans of the Sizzling Pub brand, as a family we often dine in them as they are perfect for a casual family pub meal. Before becoming a stay at home mum I used to work in Wallsend and would often visit The Anson for lunch or after work drinks. It has however been over three years since I lasted visited so I was keen to see how things had changed. The Anson is located right in the middle of Wallsend town centre, just outside of the shopping centre. As it was such a lovely sunny day when we visited lots of people were sitting on the tables outside enjoy a drink in the sunshine. Indoors there were couples with young children and groups of older friends and relatives enjoy drinks and meals. It had a lovely relaxed vibe with soft music on in the background and everyone seemed to be having a nice time. The decor was really nice and homely and looked so different and much nicer since I last visited over three years ago. We were greeted by a lovely member of staff who showed us to are table and instantly made us feel at home. We were seated to the back of the pub near a small children's area which had a small children's table and chair set, which was a big hit with my three year old. It also had a box full of toys and a TV with Cbeebies on to keep little ones entertained. Browsing the menu I could not believe what a wide variety of choice was on the menu, they had so much to choose from. 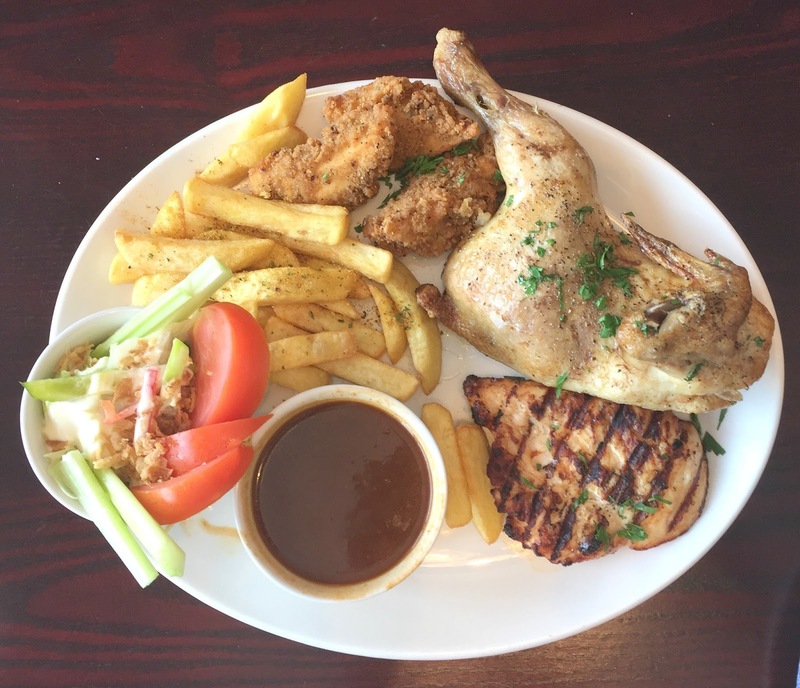 From pub classics such as scampi and chips and burgers, to light bites and sizzling steaks. There was also a good selection of items on the children's menu with around 10 different meals for them to pick from. 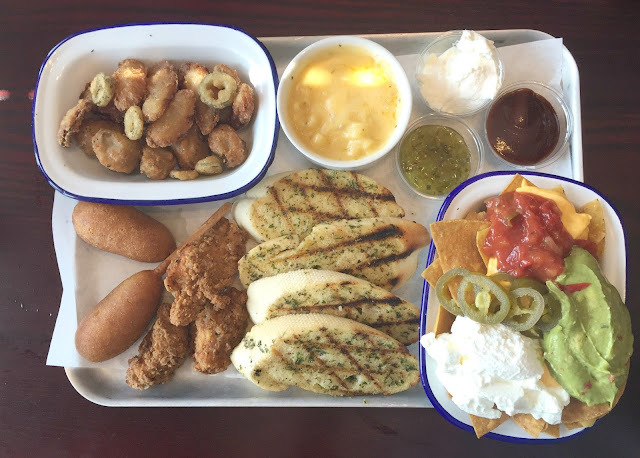 As all five of us were eating out as a family we decided to order the All Piled High Sharer £9.99 which consisted of a bowl of nachos, three southern fried chicken strips, beer battered mushrooms and onion bites, mac 'n' cheese, four slices of chargrilled garlic bread, two corn dogs and jalapeno bottle caps. It also came with BBQ, Sour cream and gherkin relish dips. The all piled high sharer was delicious and perfect for sharing between a family, it had something for everyone to enjoy. 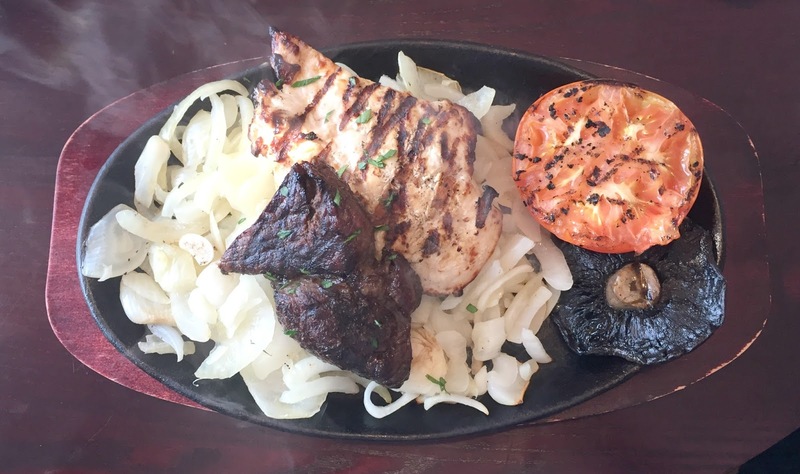 For mains I went for the steak and chicken combo £6.79 which was a grilled chicken fillet, 5oz rump steak served on a bed of sizzling onions. Grilled mushroom and tomato and a portion of seasoned fries. My meat was cooked to perfection and very tasty, although it felt like my plate was piled high with a bit too many onions. I thought it was great value and a great pub dish. The other half went for the Chick, chick, chicken from the ultimate eats section of the menu priced at £8.49. This was a huge meal that consisted of grilled chicken fillet, southern fried chicken strips and half a roast chicken. Served with fries, salad with blue cheese dressing and a pot of BBQ gravy. He really enjoyed this meal and managed to eat most of it and said he would defiantly get this again, he especially loved the gravy. 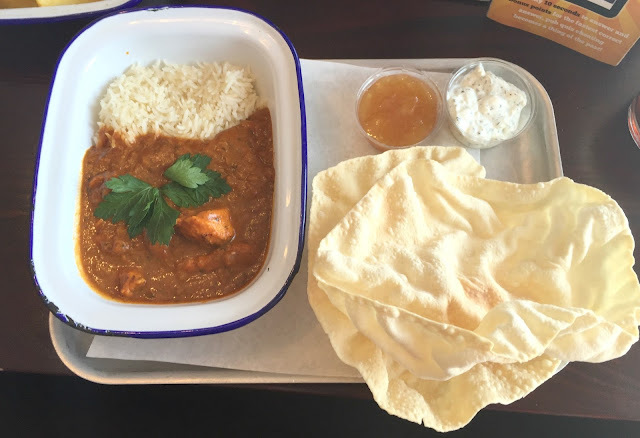 My teen ordered what she always does whenever we go out Chicken Tikka with rice (£5.99) this came with two poppadoms, mango chutney and mint raita. This was a rather generous portion, so much so that she could not manage to eat it all, I had a taste of and the chicken was nice and tender and the sauce had a real kick to it. The kids menu is priced at £4.50 for a main, pudding and drink. I really liked the children's menu as it had a lot of choice and you could mix and match the items to create a meal that your child will enjoy. Jacob had chicken nuggets, chips and a corn on the cob whilst Sophia had a pizza. 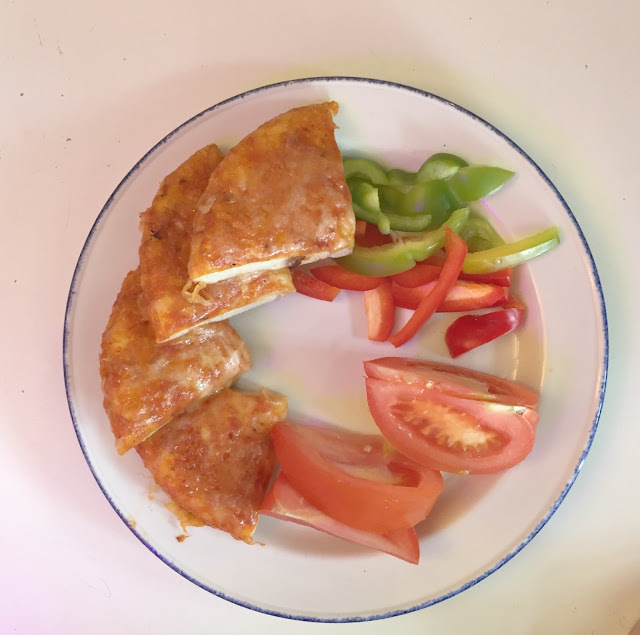 I have to admit that I was not too impressed with Sophia's pizza, it was a frozen deep pan pizza but the portion was rather tiny and the plate was filled with tomatoes and peppers which she does not eat. I felt due to the small size of the pizza maybe it would not be very filling for a slightly older child. 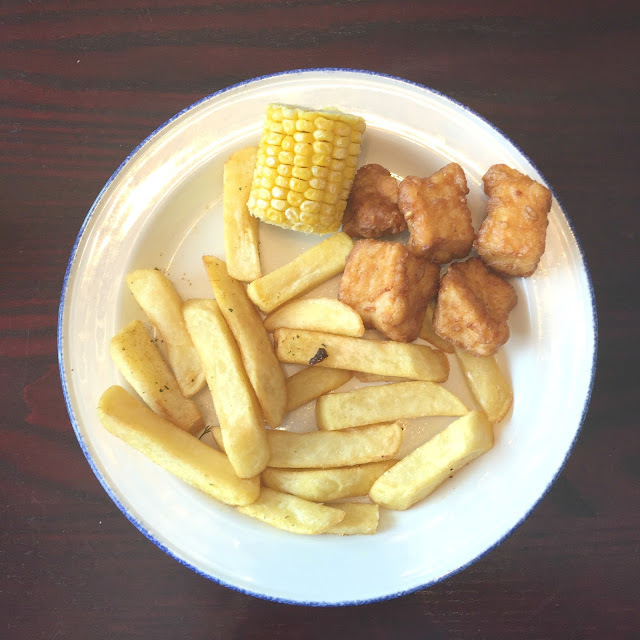 Jacobs children's meal on the other hand was a really generous portion size, he really enjoyed his meal especially the nuggets and corn on the cob. As we were dining out we all ordered a dessert - for research purpose obviously. Chloe ordered Chocolate fudge cake served with vanilla ice cream (£3.79) this was a massive portion and was really gooey and chocolaty. Lee went for the sticky toffee pudding with custard and ice cream £2.79. 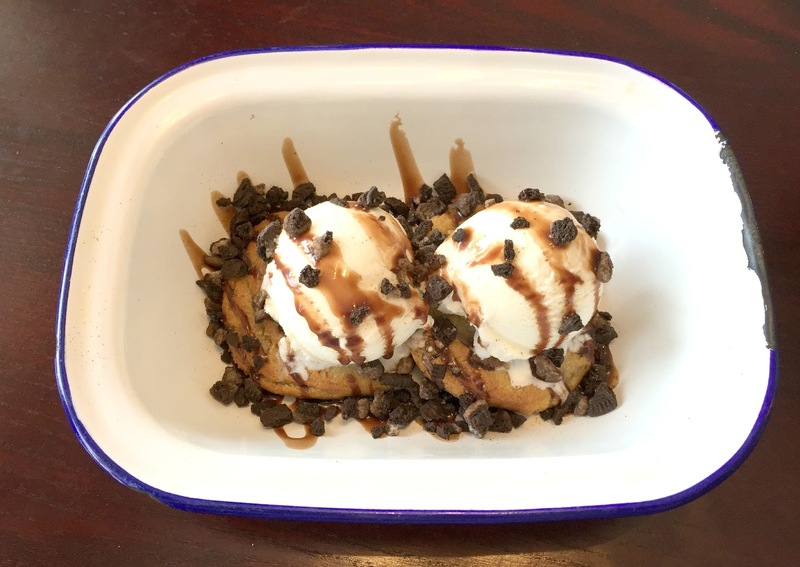 I went for the home baked chocolate chip cookies with vanilla ice cream, Belgian chocolate sauce, sprinkled with Oreo cookie crumb £3.49. My cookies were delicious, they were really crispy on the outside but warm and chewy on the inside, they tasted delicious with the vanilla ice cream. I would defiantly order this again and recommend that you order this if you visit. 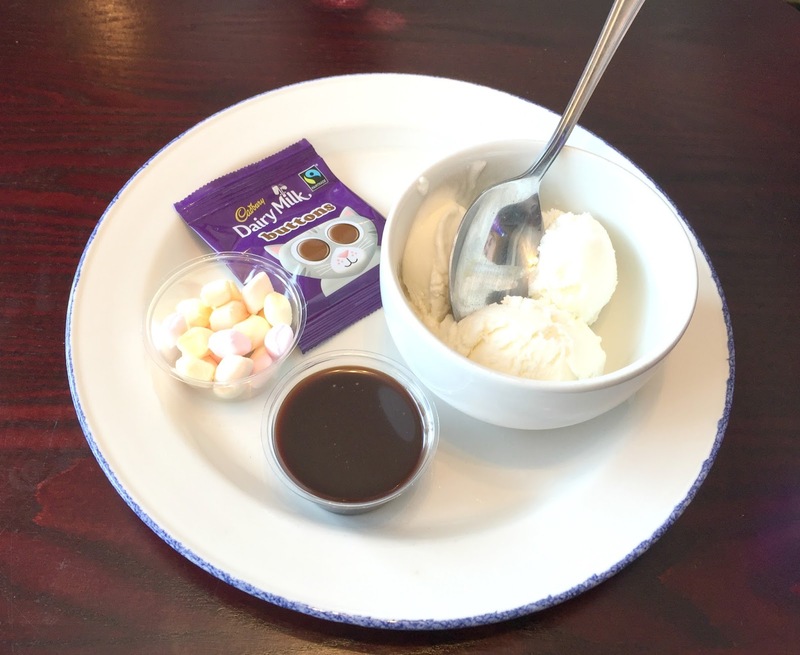 The little two had the build your own sundaes which was two scoops of vanilla ice cream, chocolate sauce, marshmallows and chocolate buttons and was included in with children's meal offer. My children love these type of desserts, they have such fun pouring everything on the ice cream. The final bill, including drinks came to £54 which I think is amazing value for three courses for a family of five and for how much food we ordered. 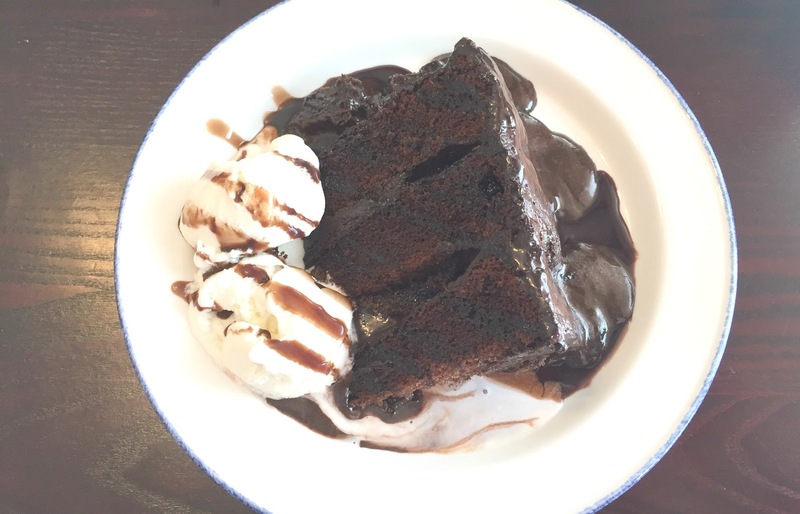 We really enjoyed dining at the Anson and the visit was made even nicer by the super lovely and friendly member of staff who was serving us and was amazing with my three year old (who was being a little horror when we visited). If you are looking for somewhere to visit for a family lunch in Wallsend then I would recommend a visit to Anson as we really enjoyed are meal and the amazing service we received. Disclosure We were invited to dine at the Anson as guests of Sizzling Pub for the purpose of this review. However all opinions are my own. Ooh this all looks delicious! Bit of a trek from Cornwall ;) but I do love a good pub meal!